56-mm objective lens provides the binoculars high light-gathering capacity therefore it can be operated in twilight conditions. The lens caps are permanently attached to the binocular's body which prevents them from being lost. Built-in magnets keep the caps fixed in the open or closed position. The lens caps abut the binoculars’ housing and don’t hinder in use. The Point binocular is outfitted with rubber roll-down twist-up eyecups designed to provide optimal position of the eyepiece to the user’s eye. The protrudent part of the eyecup covers observer's eyes from ambient lateral light. While rotating the eyecup the diopter adjusting ring remains fixed. The nitrogen purged design prevents the lenses and inner surfaces from condensation. The Point is suitable for operation in heavy precipitation conditions (heavy snow and rain). With IPX7 (IEC 60529 standard) water protection class Point binoculars withstand a short underwater submersion. The Point is suitable for operation in heavy precipitation conditions (heavy snow and rain). 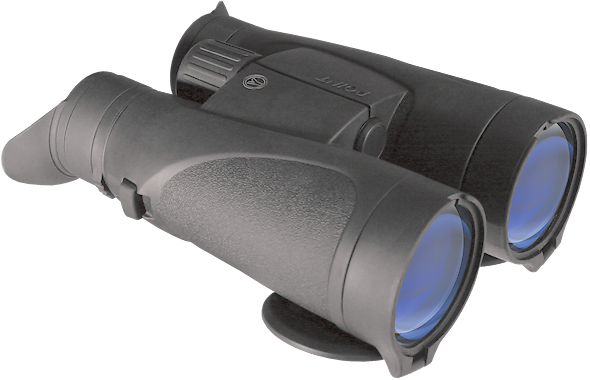 With IPX7 (IEC 60529 standard) water protection class Point binoculars withstand a short underwater submersion.